Are you ready for another do-it-yourself recipe? This time it’s homemade mayonnaise. 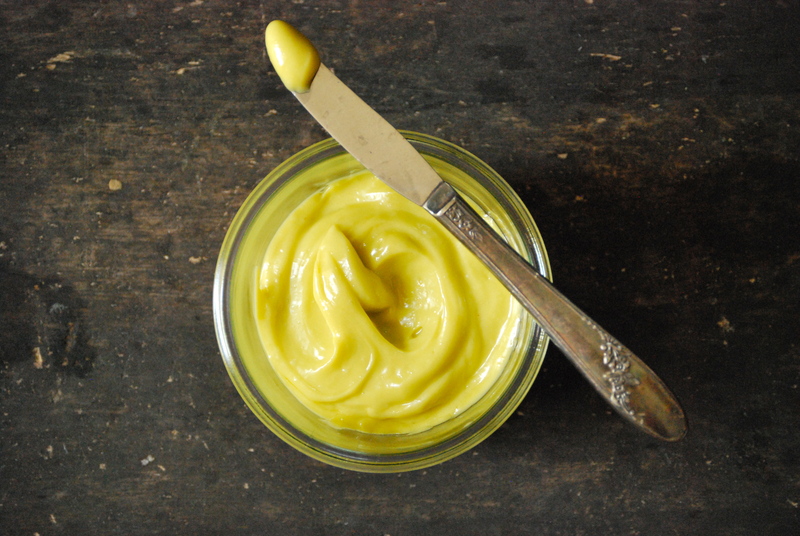 And yes, there’s a pattern here– I love making my own condiments. If you missed them, here’s are a few recipes for ketchup, mustard, and tomato jam. They taste more interesting, and to be honest, better than the same old highly-processed formulas you find at the grocery store. 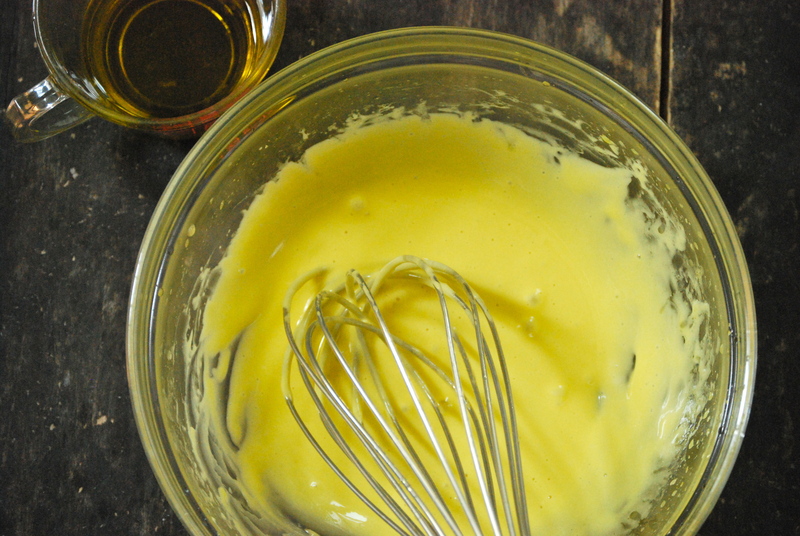 Making your own mayonnaise is easy, and despite what you may have read, doesn’t take long. There’s only one catch– you’ll need to use it up within a week since it contains a raw egg yolk. Trust me, you won’t have a problem finishing it off with all the fresh produce out this time of year. Sandwiches, BLTs (fresh tomatoes, yay! 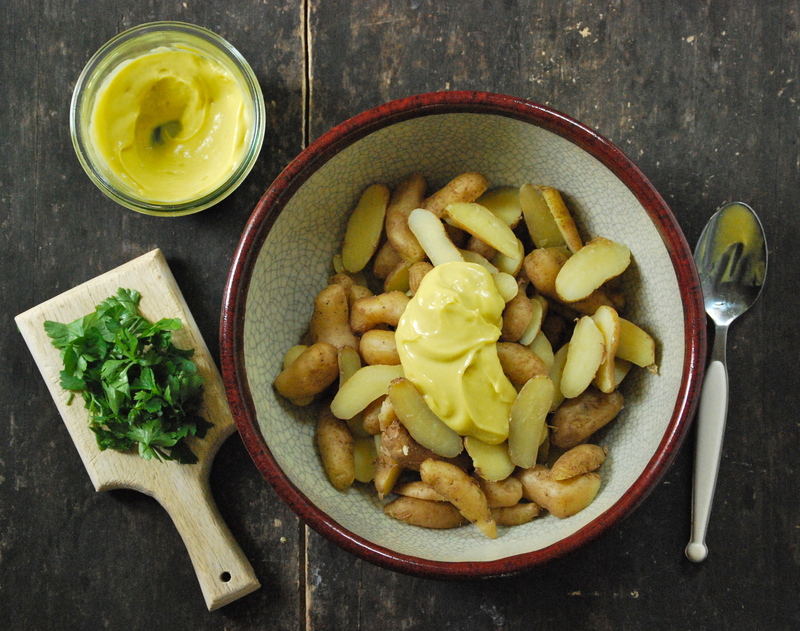 ), potato salad, aioli’s, everything tastes better with homemade mayonnaise. 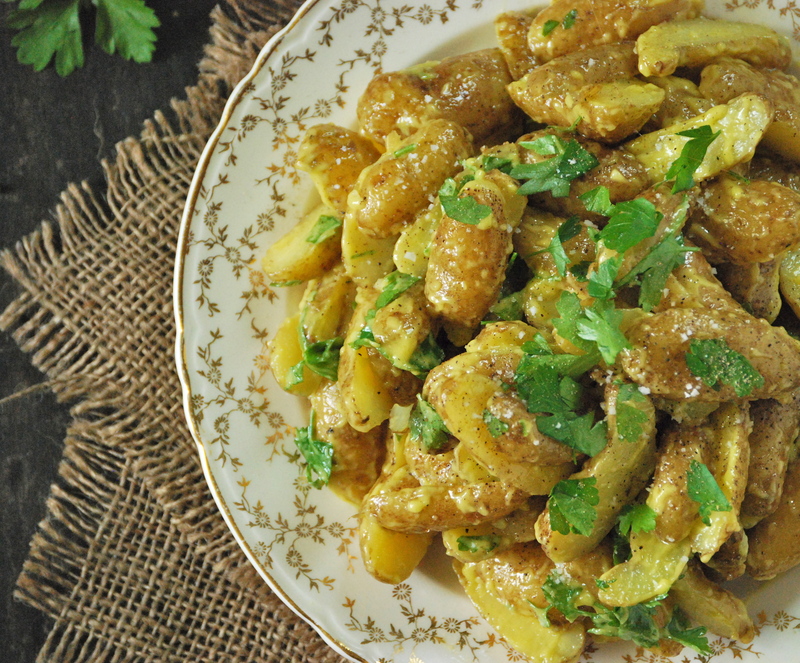 I like to make my mayonaisse with healthy olive oil, which gives it a wonderful layered flavor. You can use canola instead if you prefer something more subtle. Or feel free to do a mix, just make sure you equal the amount of oil listed in the recipe and you’ll be fine. One other note on this recipe that’ll make it almost foolproof. A trick I learned from food writer, Melissa Clark. Add one teaspoon of water to the mixture. 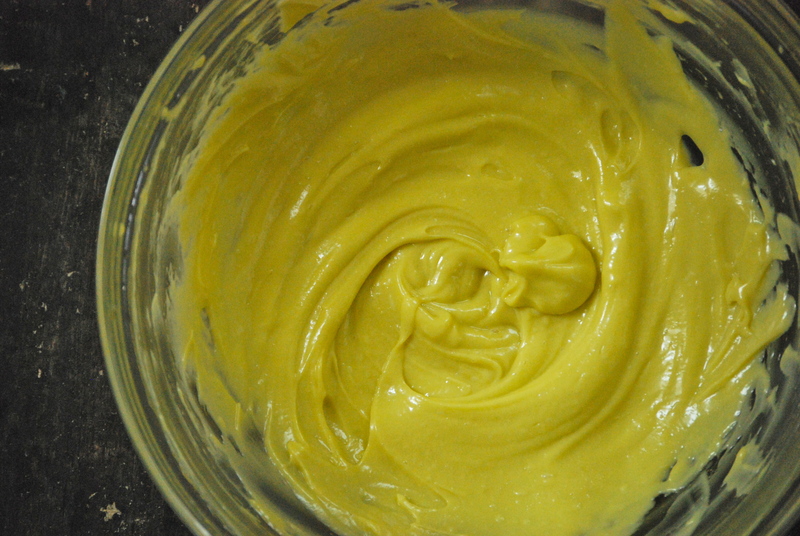 It’s such a simple step, but it can make a huge difference on whether or not the mayonnaise turns out perfectly silky. That’s it. It works every time for me. Now get in there and whip up your own batch of homemade mayonnaise. And don’t forget you can make it as interesting as you like by adding fresh herbs, spices, or harissa. 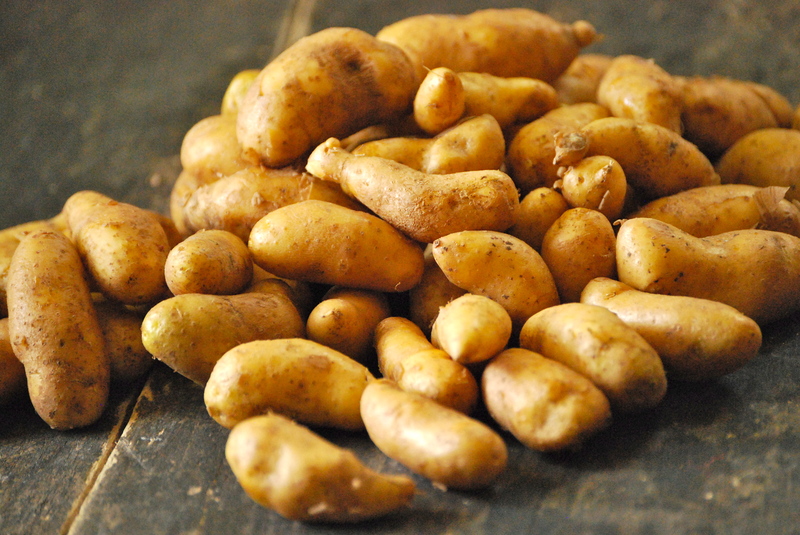 Or you can simply fold it into a bowl of steamed fingerlings and top with freshly chopped parsley. 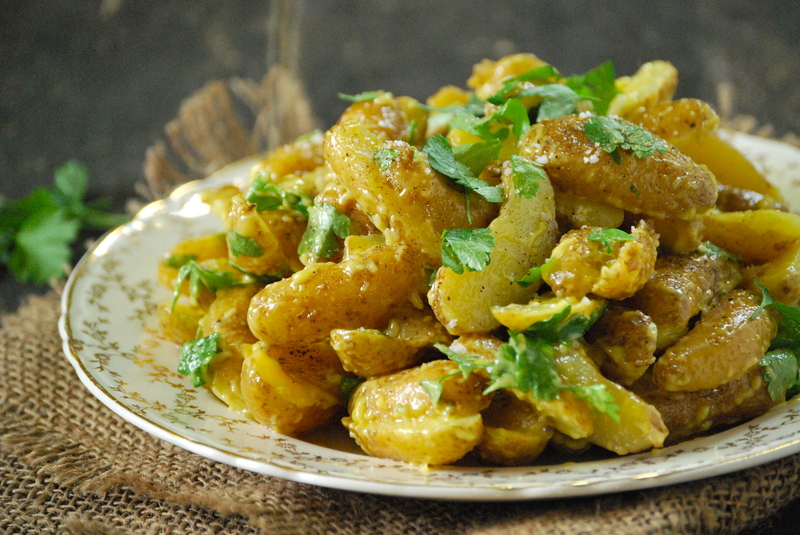 It’s one of the quickest and most delicious potato salads around. Enjoy! 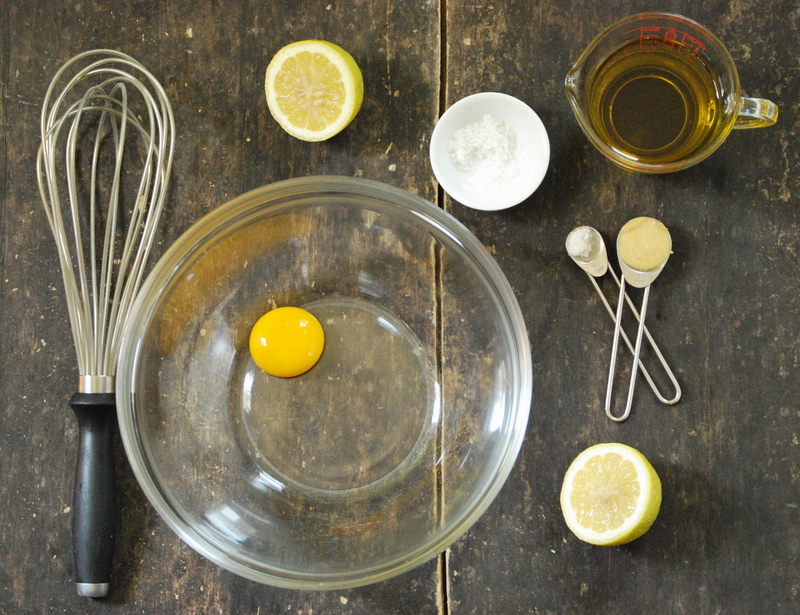 In a medium sized bowl, whisk all of the ingredients together, except the olive oil, for a minute or so until frothy. 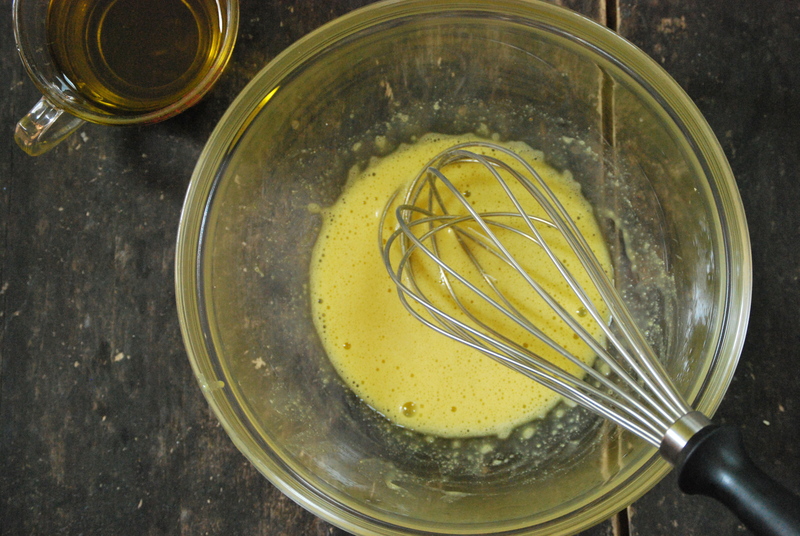 Then, while continuously whisking, slowly begin adding the olive oil a drop at a time. As it begins to thicken, you may start adding it in a very thin stream, remembering to whisk the entire time. The slower you add the olive oil, the better chance you have of it not breaking. The whole process will take about 15 minutes, or so. Transfer it to a jar, and store in the refrigerator. Re-season with salt, if necessary. Use within one week. Enjoy!